The oceans have warmed in the past 50 years, but not by natural events alone. New research by a team of Lawrence Livermore National Laboratory scientists and international collaborators shows that the observed ocean warming over the last 50 years is consistent with climate models only if the models include the impacts of observed increases in greenhouse gas during the 20th century. Though the new research is not the first study to identify a human influence on observed ocean warming, it is the first to provide an in-depth examination of how observational and modeling uncertainties impact the conclusion that humans are primarily responsible. The group looked at the average temperature (or heat content) in the upper layers of the ocean. The observed global average ocean warming (from the surface to 700 meters) is approximately 0.025 degrees Celsius per decade, or slightly more than 1/10th of a degree Celsius over 50 years. The sub-surface ocean warming is noticeably less than the observed Earth surface warming, primarily because of the relatively slow transfer of ocean surface warming to lower depths. Nevertheless, because of the ocean’s enormous heat capacity, the oceans likely account for more than 90 percent of the heat accumulated over the past 50 years as the Earth has warmed. 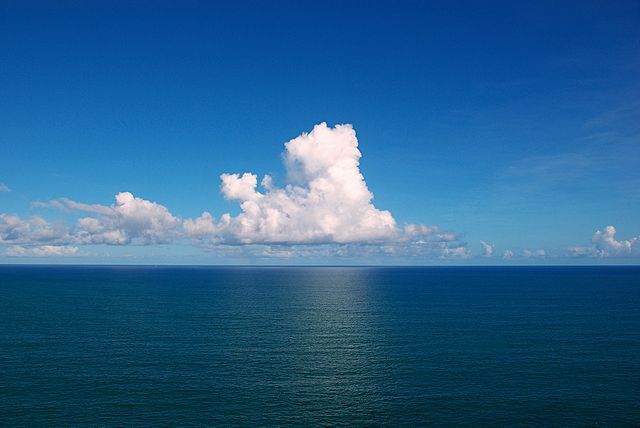 In this study the team, including observational experts from the United States, Japan and Australia, examined the causes of ocean warming using improved observational estimates. They also used results from a large multi-model archive of control simulations (that don’t include the effects of humans, but do include natural variability), which were compared to simulations that included the effects of the observed increase in greenhouse gases over the 20th century. Next articleWho’s stressed in the US?